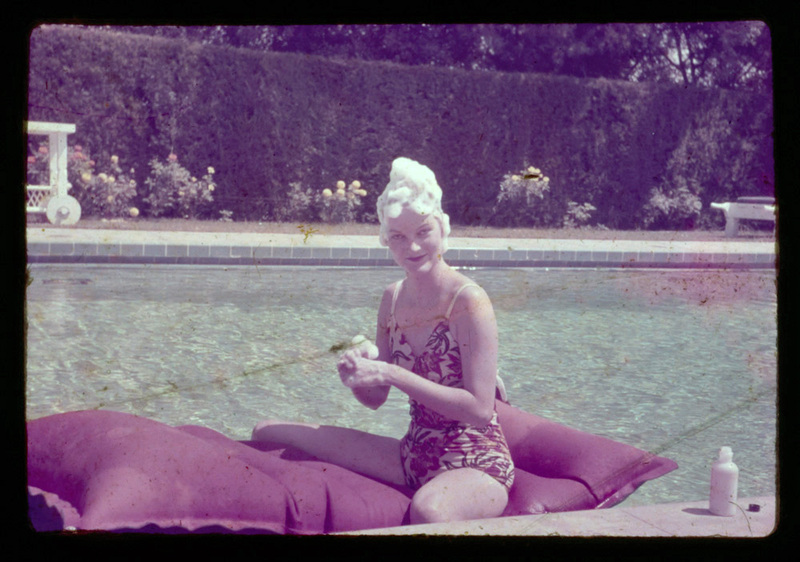 A couple of weeks ago the finding aid for the Doris Duke Audiovisual Collection was posted on the Rubenstein Library website. 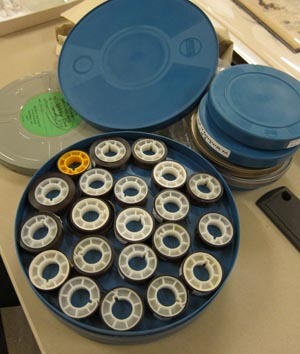 The audiovisual collection, which is now opened for research, has a fascinating variety of materials, including film reels, vinyl records, and audio cassettes reflecting Doris’ interests in travel, music, the performing arts, and historical events. It’s chock-full of surprises for those willing to delve into the detailed and intricate collection. Homemade recordings of Doris practicing the piano and singing, four original nitrate film reels of the Nazi Supreme Court Trial of the Anti-Hitler Plot from 1944-45 (which we’re presuming Doris obtained while working for the Office of Strategic Services [OSS] during World War II), and a somewhat sketchy telephone interview with Howard Hughes from the 1970s are just a few of the treasures awaiting discovery in this collection. 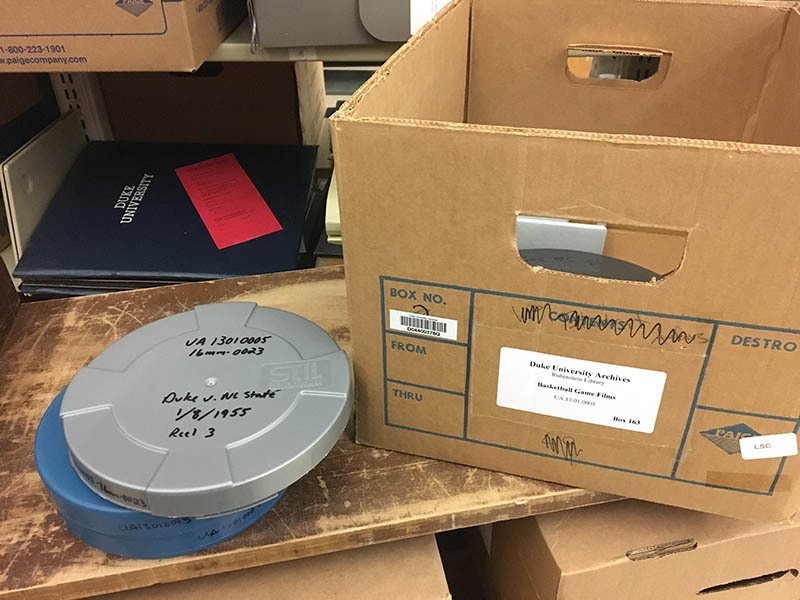 The Doris Duke Audiovisual Collection also marks a significant milestone for the Doris Duke Charitable Foundation Historical Archives. It is the final collection in the historical archives to be processed, described, and opened for research, thus ending my three year processing journey. Working so intimately with the materials has been quite a remarkable experience, and not surprisingly I’ve grown quite attached to both Doris Duke and the materials over the past three years! 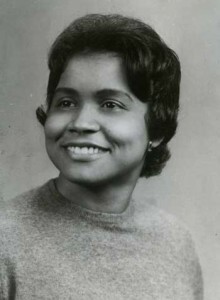 The nineteen collections comprising the historical archives are filled with artifacts and clues that leave evidence of a woman who did big things, yet they also give insight to unexpected and hidden facets of Doris’ life. Collectively they paint a picture of Doris that challenges the general perception of her as an eccentric and tragic figure. While I am sincerely grateful for having had the opportunity to process and promote the materials in the historical archives, I am equally thankful for having had the chance to meet researchers and patrons interested in both Doris Duke and the historical archives. Their enthusiasm for learning more about her spurred several of the events, exhibits, and digital initiatives developed during the course of the processing project. And so a journey for me ends, but the journey for the materials in the historical archives continues! Post contributed by Mary Samouelian, the former Doris Duke Collection Archivist. Mary will continue in the Technical Services Dept. as the Processing Archivist for the Abraham Joshua Heschel Papers. 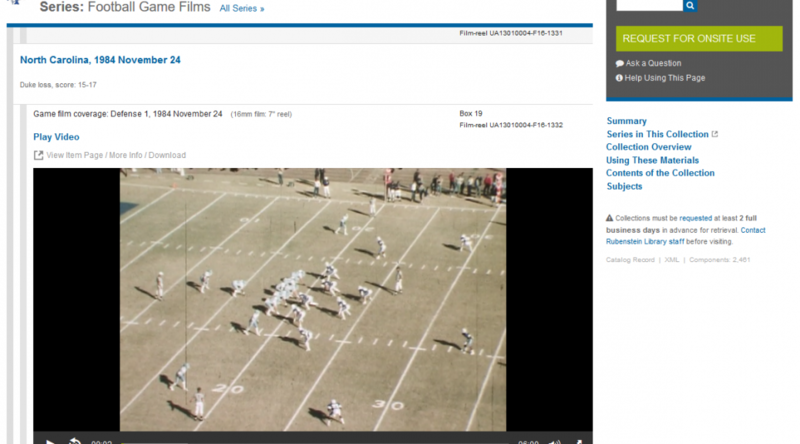 The name Freewater Films is perhaps best known for the film series it puts on in the Bryan Center. 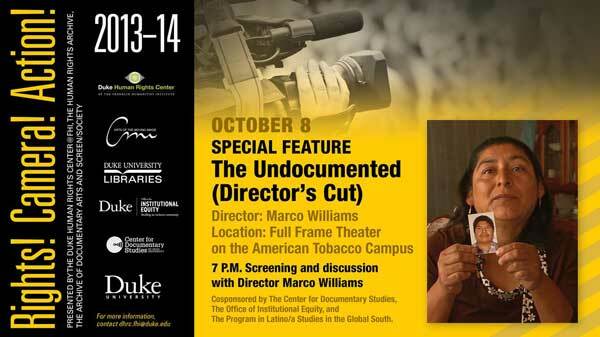 But in addition to these screenings, it is also responsible for providing workshops and support for amateur film-making by Duke students and community members. 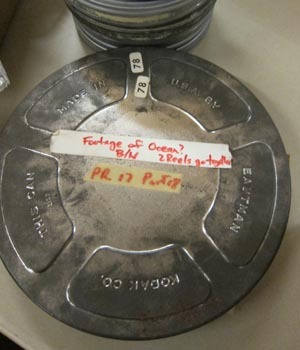 The origins of Freewater Productions Films can be traced to 1969, when the Mary Duke Biddle Foundation gave funds for students from the Duke University Union Visual Arts Committee to make a 16mm film. In November 1970, several students produced an original film (called Dying), using a 16mm Bolex camera borrowed from the Union. Described by the maker as “a woman’s surrealistic encounter on an island,” Dying went on to win first prize at the Association of College Unions’ 1971 International Film Festival. 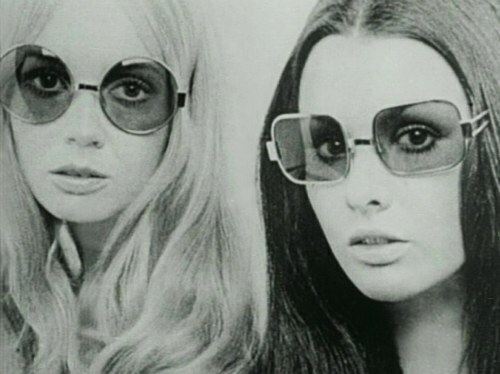 We’re looking forward to the day when these historic films may be screened again! Post contributed by Jessica Wood, William E. King intern for the 2011-2012 academic year. 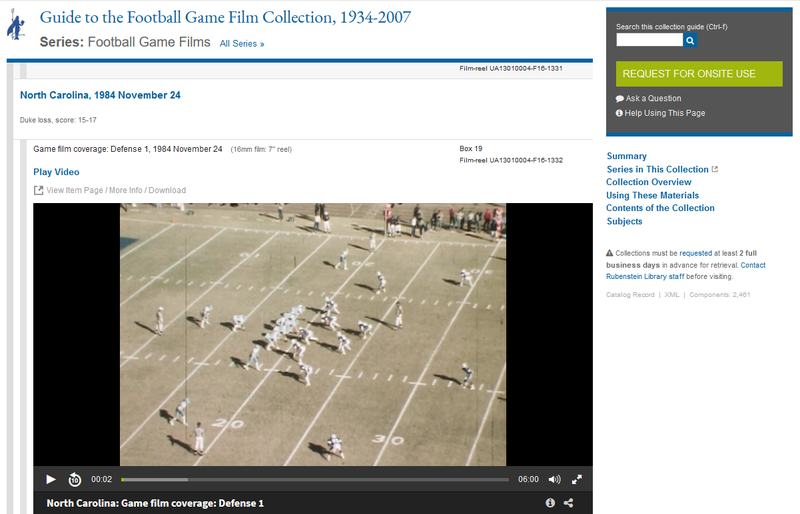 The Rubenstein Library is pleased to announce the recent acquisition of the New Day Films Collection. 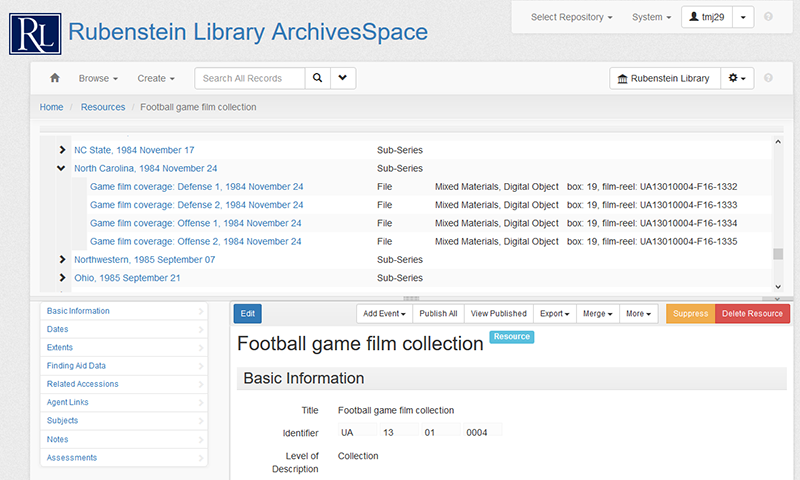 The collection includes the founding films and organizational records of New Day founders Liane Brandon, Jim Klein, Julia Reichert, and Amalie R. Rothschild. 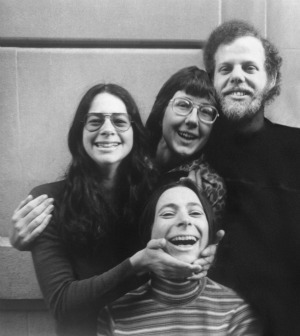 Documenting a pioneering film distribution company and collective, the first to distribute feminist films in the early 1970s, the New Day Films Collection is an important record of both New Day’s formation and the Feminist Movement. New Day Films is a thriving organization, celebrating 40 years in 2012 as a participatory democratic filmmakers’ cooperative with 120 members and 250 titles. The Rubenstein is committed to preserving the New Day Films Collection for future generations to make this record of the evolution of progressive independent American filmmaking available for teaching and research. In celebration of New Day coming to Duke, the Full Frame Documentary Film Festival will screen New Day’s founding films—Anything You Want to Be (Brandon), Betty Tells Her Story (Brandon), Growing Up Female (Klein, Reichert), and It Happens to Us (Rothschild)—on Friday, April 13, 2012 at 4:50pm. There will be a panel conversation with all four founding members about New Day’s exceptional history on Saturday, April 14, 2012 at 9:30AM. 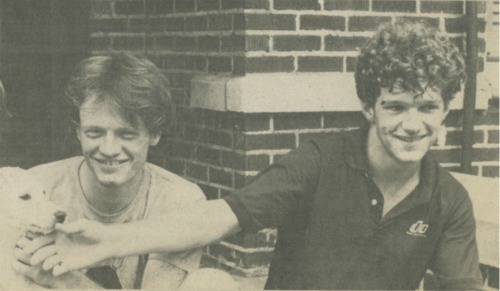 On March 30, 1984, he was a Trinity senior, premiering his and classmate Jeff Bennett’s feature-length film, Darkmoor, at the Bryan Center. 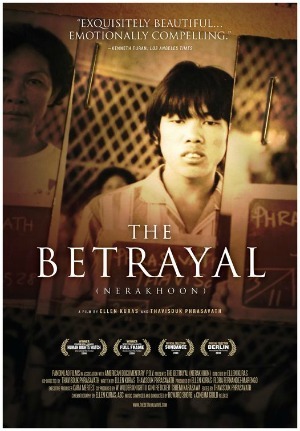 Supported by Freewater Films, the film was his senior thesis and ended up requiring a budget of $60,000, owing in part to the fact that three-quarters of the film had to be re-shot after the lead actor graduated and wasn’t able to complete his final scenes. In interviews, Mr. Harris describes the film only as a “psychological thriller.” There’s an orphaned boy who shows up just at the right moment and a father who doesn’t. There’s a Bryan Center art show with a painting by Picasso and a psychiatric ward somewhere in Duke Hospital. There are references to Carl Jung’s theories and T. S. Eliot’s poetry (Harris’ Program II curriculum included English literature classes), as well as so many hints at the power of advertising and subliminal messages that we wonder if Harris knew where he’d end up 28 years later. There’s also former Duke President Terry Sanford in a cameo as a jaded psychology professor. Reviews from The Chronicle and the Durham Sun suggest that Sanford proved quite the capable actor, but we can’t offer our own opinion, because the Duke University Archives doesn’t have a copy of the film. The records of the Duke University Union contain only a not-quite-final draft of the script that suggests that Darkmoor Shaw, the film’s main character, started out as Darkmoor Kilgore. Here’s the scene, early in the film, where Darkmoor acquires his first name. EXT. A HOUSE WITH A LAWN. DAY. Alex is on the lawn with her child, who is crawling around in front of her. She picks the child up, sets him on the ground in front of her, and gives him a little push. The child waddles off away from the mother. 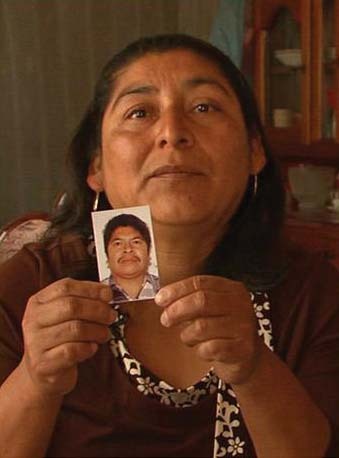 Alexandra starts to call names after him. The child turns around and looks inquiringly at his mother. The child starts to crawl to his mother. She goes over to him and picks him up. According to Mr. Harris, the idea for this scene came from his (late) father, Richard Harris, the venerated British actor. With such an impressive pedigree, we’re relieved that a copy of the script exists in the Duke University Archives. And Mr. Harris, if you still have a copy of the film, could we please borrow it? 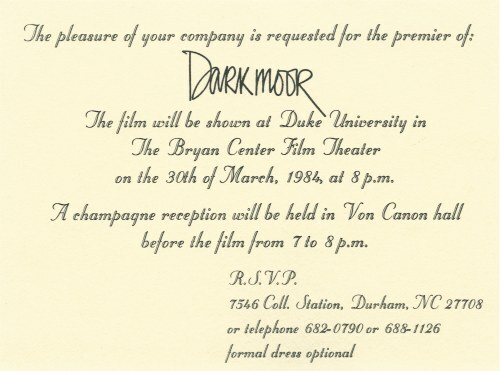 Invitation to Darkmoor premiere, March 30, 1984. And, for those of you who can’t get enough Mad Men, watch The Devil’s Tale over the next few weeks for news about the next event in the John W. Hartman Center for Sales, Advertising & Marketing History’s 25th Anniversary Lecture Series. On April 10th, the center will be welcoming Charlotte Beers, former Chairman/CEO of Ogilvy & Mather and Under Secretary of State for public diplomacy and public affairs. Find more information on the Hartman Center’s homepage!